Billi's back, and it seems like the Unholy just can't take a hint. Still reeling from the death of her best friend and first love, Kay, Billi is thrust into action when the Templars are called to investigate werewolf activity. These werewolves are like nothing Billi's seen before. Supposedly wiped out centuries ago, they call themselves the "Polenitsy "- Man Killers. But now they're out of hiding and on the hunt for an Oracle powerful enough to destroy humankind for good. Following the Polenitsy's trail of carnage, the Templars head to Russia, desperate to reclaim the Oracle and save the world before it's too late. 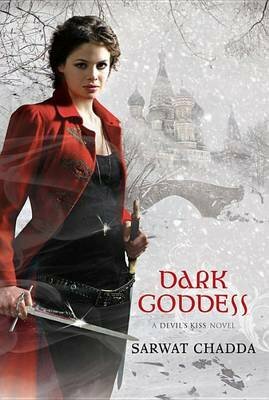 "Dark Goddess" is a page-turning, action-packed sequel where folklore and myth come to life in the Russian underworld. Full of suspense, mystery and fantasy, Billi SanGreal's story is one readers won't be able to put down.